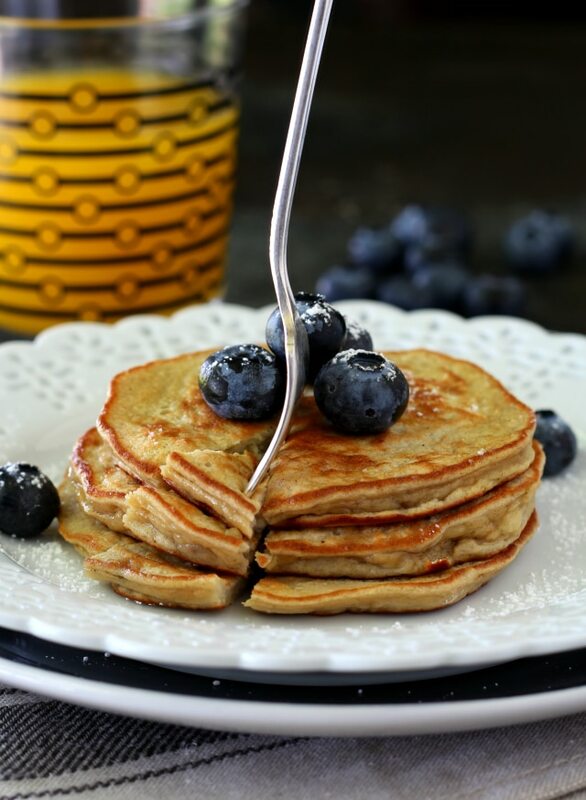 In honor of National Pancake Day, I’m rounding up 8 scrumptious, delicious, yet healthy and nutrient dense pancake recipes found on some of my favorite blogs. From banana blue berry, to my personal favorite chocolate chip – there’s a recipe for every craving! 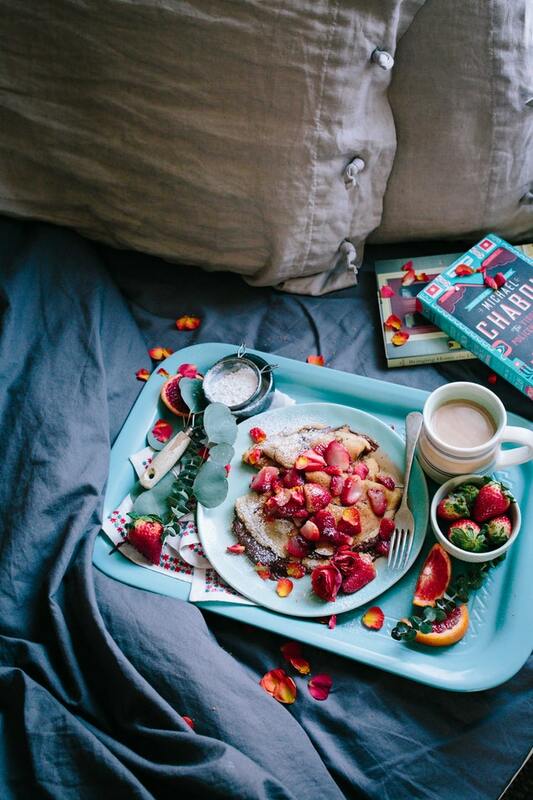 I used to always steer clear of pancakes as I used to be strictly low carb, but lately I’m embracing my carb callings and honing in on my intuitive eating skills – listening to your body never hurts (unless it’s always calling out for pizza, theeeen maybe check yourself before you wreck yourself). Back in the day I was the queen of making flour-less pancakes using eggs and bananas, but now I’m expanding my horizons and adding (a bit) more grains to my diet. I do however still refrain from eating carbs in the morning as they personally do nothing but spike my blood sugar level and then leave me feeling tired and groggy the rest of the day. So for me, I like to make my pancakes for dessert or dinner – yes I don’t follow the rules of when you’re supposed to eat breakfast foods! So check out my current favorite recipes and get your aprons on and whisks out, let’s make some pancakes! 1. 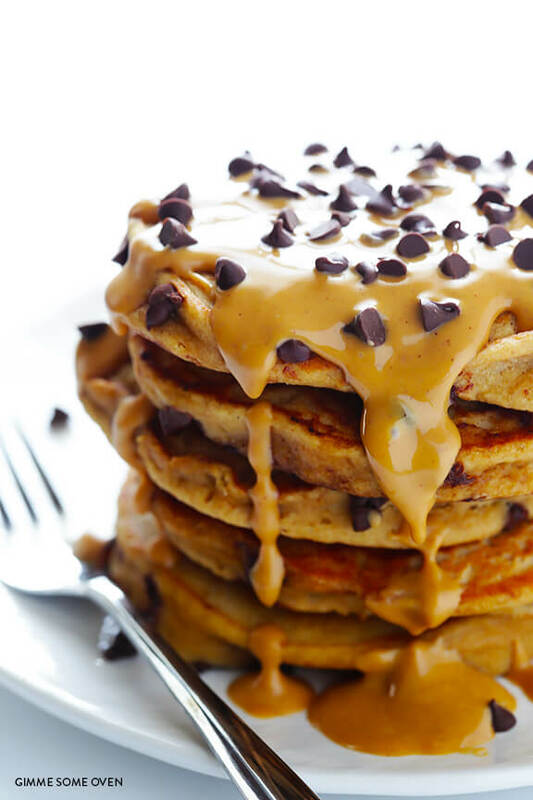 Whole Wheat Peanut Butter Chocolate Chip Pancakes. Two things I fah-kin love, peanut butter and chocolate. Add them into pancakes and you have my ideal dessert. This recipe from Gimme Some Oven uses whole wheat flour so that you’re getting some nutritional punch, almond milk instead of cows milk, and honey/agave instead of sugar. YAS please! 2. 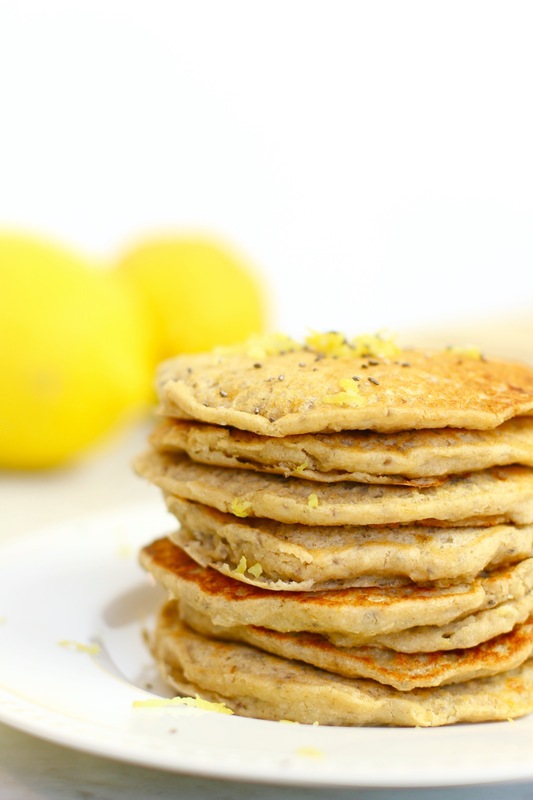 Gluten Free and Vegan Chia Seed Lemon Pancakes. Love chia seeds for their protein, crunchiness, and the ability to be used in almost every recipe. This recipe from Whitney Yerd calls for oat flour which is totally gluten free, a banana, lemon zest and uses chia eggs instead of chicken eggs. Clever and yummy! 3. Flourless Protein Pancakes. Of course I have to throw in a flourless recipe too! This recipe by Kim’s Cravings uses the good ole banana and egg white mix to make fool proof pancakes with zero grains! 4. Stacked and Packed Pancakes. 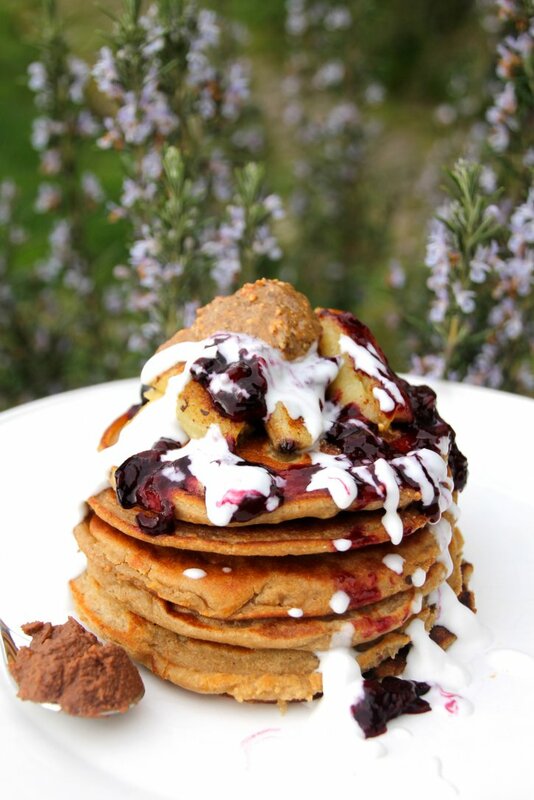 This recipe by Naturally Sassy uses brown rice flour, home made nutella, fruit like berries and dates, almond butter and coconut cream. Talk about being chalk full of healthy ingredients! 5. 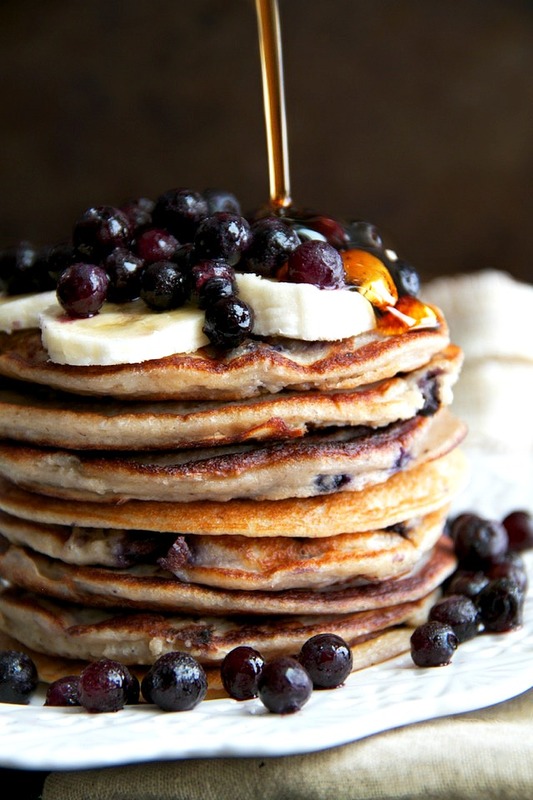 Blueberry Banana Pancakes. You can’t have a pancake roundup post without blueberry pancakes! Running With Spoons makes this variety with Greek Yogurt and egg whites – adding extra protein while keeping its fruity flavor. 6. 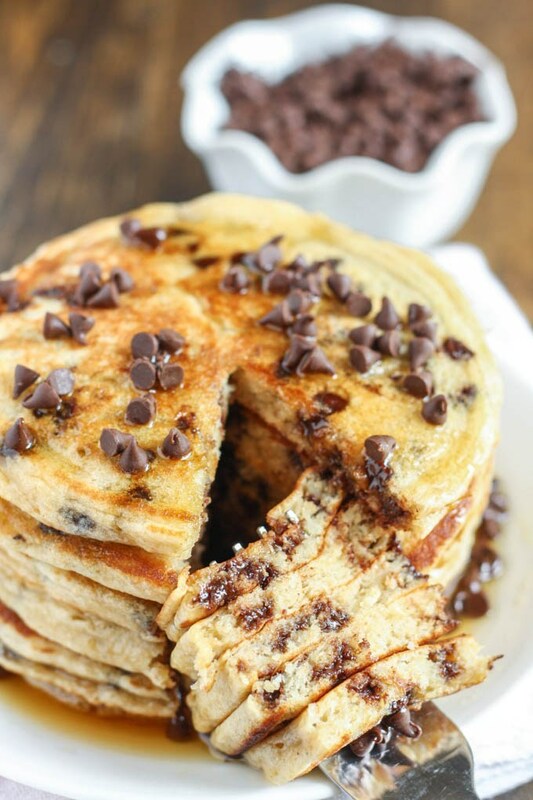 Chocolate Chip Greek Yogurt Pancakes. Still on a yogurt kick, the added protein from the Greek Yogurt takes this chocolate chip pancake recipe by Live Well Bake Often up a notch. 7. 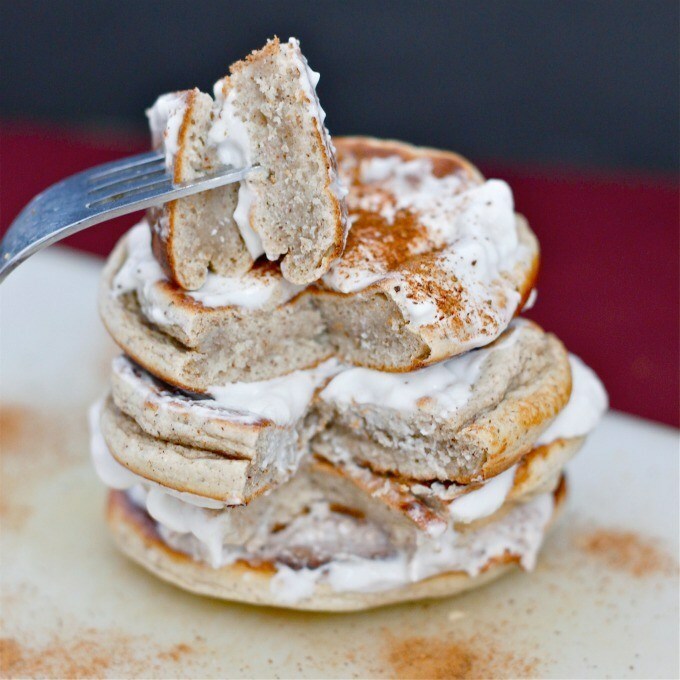 Cinnamon Bun Pancakes. Who doesn’t love Cinnabuns?! Now you can make a healthier version by creating this version from the Big Man’s World. For the flour he uses coconut flour and oat flour, and protein powder. The creamy filling is used with cream cheese so there’s a slight indulgence if you normally don’t eat dairy – but toootally worth it! 8. 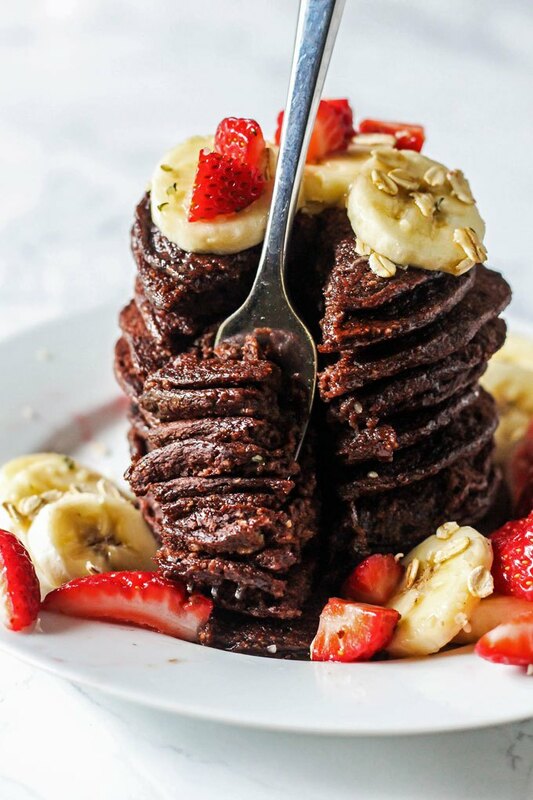 Chocolate Banana Oatmeal Pancakes. Last but certainly not least – these chocolate banana oatmeal pancakes by Emilie Eats seriously makes me drool every time I look at it. That’s how much of a chocolate fanatic I am. To give her batter a chocolate flavor, she used cocoa flour in her mix, and oatmeal + banana for the flour base. Yum! Man oh man now after looking at all these recipes all I want to do is make pancakes all day. *sigh*. What are your favorite pancake recipes? Share with us in the comments below or tag us @balanced_babe on any of your pancake Insta pics so that I can add them to this roundup!